Sri Lanka Tourism Promotion Bureau recently participated at TT Warsaw International Travel Show 2017 together with the Sri Lankan Embassy in Warsaw, Poland with key travel industry members from Sri Lanka. The International Travel Show TT Warsaw is a leading Polish and one of the most important trade shows in the Central and Eastern Europe targeted at the tourist industry. This participation further highlighted Sri Lanka’s potential to be a popular travel destination among the Central and Eastern Europe and enabling high-spending tourists to visit Sri Lanka. Tissa Wijerathne, Ambassador for Sri Lanka in Poland graced the occasion by opening the Sri Lanka pavilion with the presence of the officials of Sri Lanka Tourism Promotion Bureau and Sri Lanka Embassy in Poland. 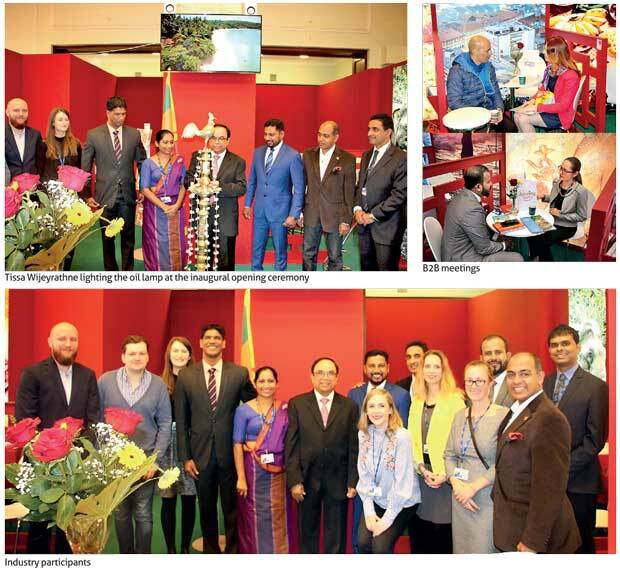 Sri Lanka is a regular participant at TT Warsaw and it proved to be a successful participation for the destination. Last year’s TT Warsaw was held in Warsaw, Poland from November 23rd to 25th. The Sri Lanka stand had a floor area of 59.75 sqm. The Sri Lanka pavilion highlighted tourism attractions of Sri Lanka which warmly welcomed the visitors and gave them a flavour of perfectly blended culture and heritage of Sri Lanka and colour theme matched with National Flag of Sri Lanka. This innovative concept made the Sri Lanka stand which gained major attention from the polish visitors. The stand was designed and constructed by Mad Expo – Poland. Taking into consideration the importance of Poland as one of the emerging tourist generating markets in Eastern Europe, NKAR Travels & Tours, Green Holiday Centre, Tropical Asia Tours, Jetwing Travels, George Steuart Travels, Tangerine Group of Hotels, Exotic Holidays International, Asian Escapes, Ayubowan Tours and Travels and Sunway Holidays participated as the co-exhibitors, and were able to meet and connect with their Polish counterparts to expand their future industry relationships. Robert Maklowicz , Polish journalist and historian , also a promoter of Polish Cuisine , slow food , and a television personality, Michael Domanski, President and Editor in chief of ‘’All inclusive’’ magazine , which is the largest free travel magazine in Poland, and Jakub Jablonski of TVN media also participated at this event. Tourist arrivals from Poland have seen an upward trend as a result of the promotional activities carried out by Sri Lanka Tourism.